A native of Holmes Beach, David is inspired by the local “Sarasota School of Architecture” structures he grew up with. His early passion for Architecture and Interior Design lead him to attend The School of Interior Design at Florida State University, graduating in 1982. A licensed Professional Interior Designer in the State of Florida, David is president of DKL Design, Inc., a full service interior design firm located in downtown Sarasota. The firm specializes in creating purely modern interior environments for discerning clientele. 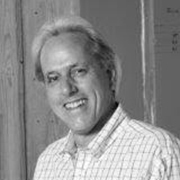 Before starting his own Interiors practice in 2011, David worked in architectural offices in the Sarasota area for over 29 years, including 12 years with Fawley Bryant Architecture, and 11 years with Guy Peterson | OFA, completing numerous iconic residential and commercial projects. David’s prior community service experience includes serving on The Art Center Manatee Board of Directors, Chairman of Sarasota Manatee Metropolitan Planning Organization’s Citizen’s Advisory Committee, member of AIA Gulf Coast Chapter, member of Sarasota Design Conference Planning Committee, and Vestry member and Junior Warden at the Episcopal Church of the Annunciation in Holmes Beach. When not busy with his design practice, or duties at Center for Architecture, David enjoys playing guitar and singing in the blues trio, The Gin & Juice Band. Jim Keaton has 31 years experience in graphic design, brand development, advertising and marketing. He began his career designing international magazines for the United States Information Agency’s Diplomatic Corp with the U.S. State Department. 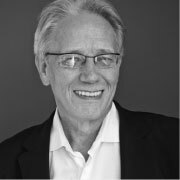 After working as Creative Director for a number of Washington D.C. based advertising agencies, he launched Gardner Keaton Inc. in 1980. The firm designs marketing and advertising campaigns, annual reports and print collateral and affinity marketing campaigns for a wide range of national and international clients. Renea Glendinning, CPA, is a shareholder with Kerkering, Barberio & Co. and has led their International Tax Department since 1996. Renea received her CPA designation in 1984. She also received her Bachelor of Arts and Master of Accountancy degrees from the College of Business Administration of the University of South Florida. She has authored articles regarding various international tax issues and frequently gives presentations on U.S. income and estate taxation of foreign nationals doing business in the U.S.
Michael K. Walker is a lifelong Sarasota resident and has recently celebrated his 40th year in the design consulting and construction industry. As managing principal of Michael K. Walker & Associates Inc., an award winning custom building and consulting firm specializing in architecturally significant construction projects, he is presently active with the City Of Sarasota Building and Fire Board Of Rules and Appeals and has served on other City of Sarasota advisory boards within term limits since 1987. He is also a member of The American Institute of Architects, numerous National Building Code Councils, is listed nationally in multiple rankings for custom building firms and has served as a certified expert witness on various construction defect matters for several major law firms. Patricia Tan was born in England, and her career in international sales and marketing led her to live and work in many countries in Europe and Asia before relocating to Sarasota with her family in 1997. A Realtor® since 2004, she has built a successful global real estate business with Coldwell Banker Residential Real Estate on St Armand’s Circle. She is a Certified International Property Specialist (CIPS) and Graduate Realtor Institute (GRI), and teaches international real estate classes for the Florida and National Associations of Realtors®. Pat authors real estate articles for U.S. and overseas magazines, has led trade missions, and regularly travels overseas to promote Florida real estate at international property shows and seminars. She currently serves as NAR President’s Liaison to United Kingdom. Cheryl Gaddie has more than 25 years of experience in the field of architecture & design. A North Dakota native, she received her undergraduate degree in business management from the University of Mary and a Master of Fine Arts in Interior Architecture & Design from the Academy of Art University in San Francisco. Cheryl began her career in the building industry and went on to start a retail home furnishing business that incorporated interior design in 1988. Her broad portfolio includes successful projects in new construction, remodels, residential developments, private homes, commercial spaces, hospitality and medical facilities. In addition to running her own design studio, Cheryl is an adjunct professor of interior design. She has served on the Board of Directors for the North Dakota Museum of Art and received numerous awards including the Wolf & Sub-Zero Kitchen Design Award for the Southeast Region and Small Business of the Year from the Siesta Key Chamber of Commerce. Cynthia Peterson, MLIS, CA holds a Master in Library and Information Science with concentration in Archival Science and Preservation from Simmons College, Boston, MA. She is a Certified Archivist (CA) and a specialist in the preservation and description of architectural archives. She has worked with important historical architectural collections including those at Harvard University, the Massachusetts Institute of Technology and the University of Florida. She was the former curator of the University of Florida Architecture Archives and helped to establish the acquisition and collection of the historical archives in Florida. She was previously the Director of Operations of the Elling O. Eide Charitable Foundation, Sarasota, FL. She also serves on the Board of Directors of the Documentation and Conservation of the Modern Movement (DOCOMOMO) Florida. She was awarded the Florida American Institute of Architects Bob Graham Architecture Awareness Award for her continuing efforts to identify and preserve the important documents and history of Florida’s built environment. In addition, Peterson was recently awarded an honorary membership in AIA Florida in recognition of her years of efforts in the preservation and education of Florida’s architectural heritage.